The Night Sky is finally available in Japanese! The latitude setting is 35°, which will work well for all of Japan. Every aspect of the text has been critiqued and rewritten to read naturally in Japanese by two expert amateur astronomers living in Japan. 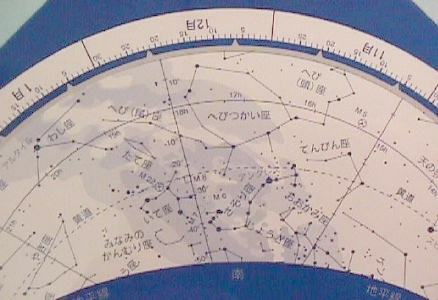 Even the constellation patterns have been altered to better conform with the way they are recognized in Japan. Satoshi Hayakawa, M.D., and Toshimi Taki, Ph.D. This item is available on special order through AstroMax. Send us an e-mail with your request. 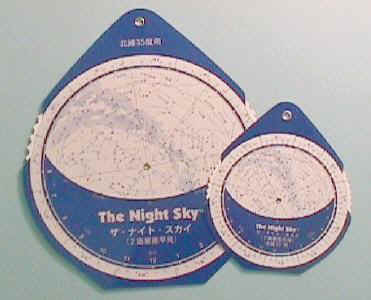 Even the constellation lines have been altered to better conform to usage by Japanese amateur astronomers.